Online training is a time-saving and money-saving way for companies to ensure employees are kept up to date on important topics and initiatives within the company. Whether training is focused on the latest technologies, operations, safety, customer service or sales, companies can create training that employees access and complete online. 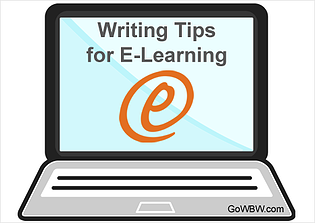 The course writing is an important part to master for the best results. Learners will either be clearly informed in a concise manner or they will get bogged down with the materials. A well-written course has been shown to improve employee memory recall while increasing course mastery speeds by up to 60%.